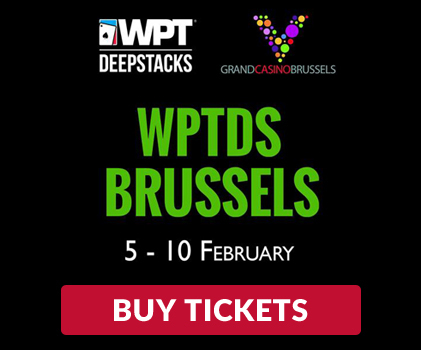 Poker fans, Grand Casino Brussels Viage is glad to welcome the prestigious World Poker Tour Deepstacks for a new festival that will take place from Tuesday 5th to Sunday 10th February 2019. 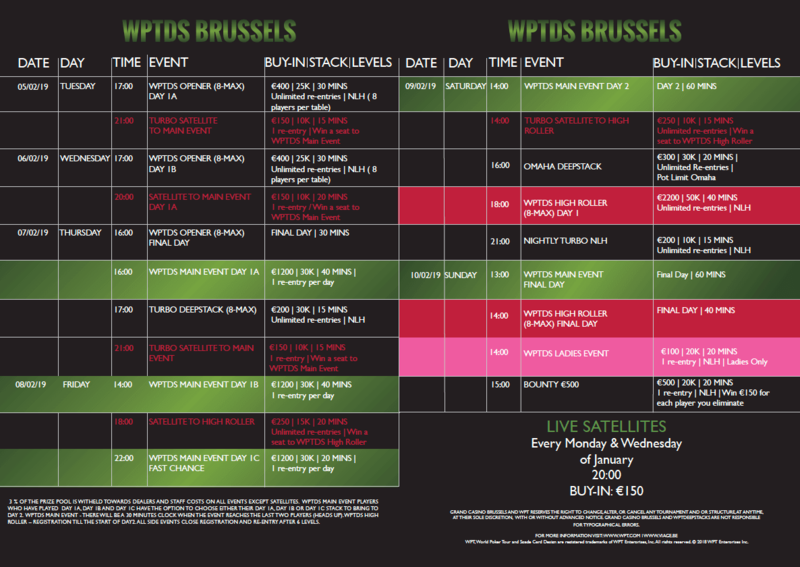 For this occasion, Viage also organizes live satellites every Monday & Wednesday, from 7th January to 4th February. 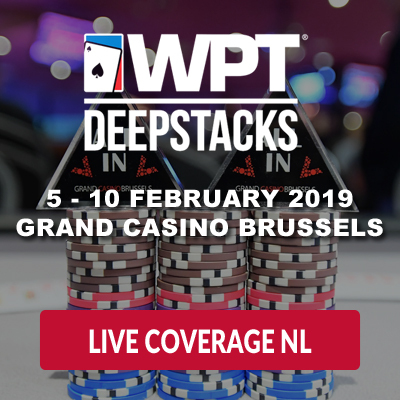 Grand Casino Brussels Viage provides live coverage of the Main Event in two languages, Dutch and French. 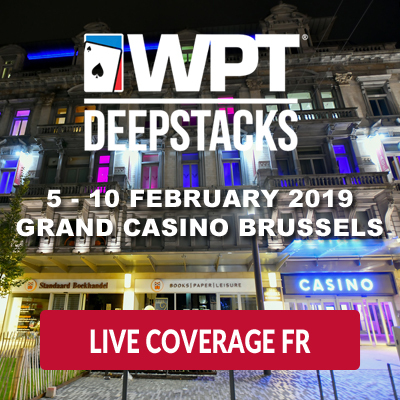 Click on the language of your choice to view the live coverage. VIAGE heeft een bericht gedeeld — vermaakt. VIAGE heeft de omslagfoto bijgewerkt.